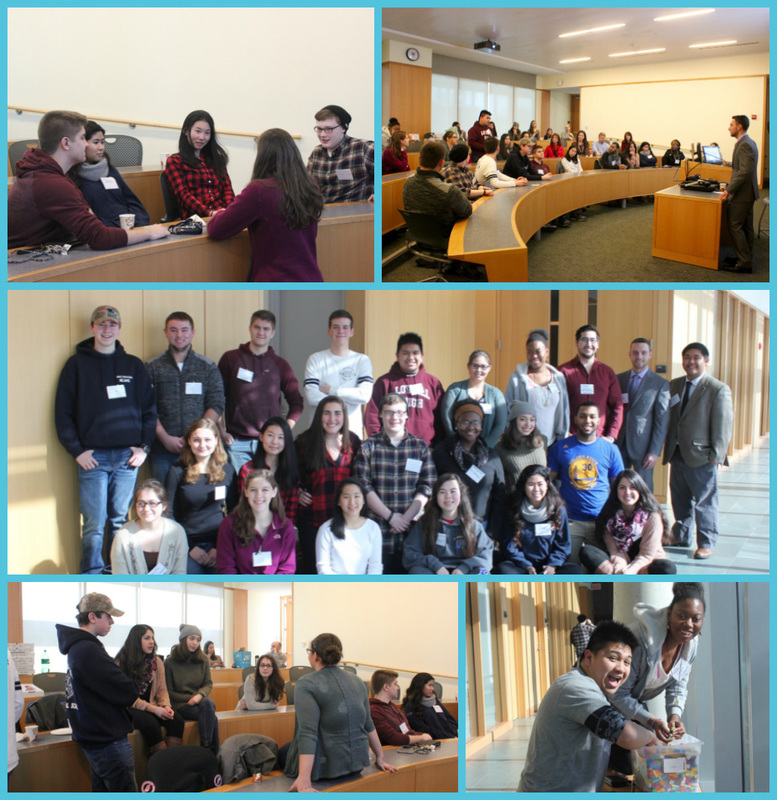 Our 2016 One Day Conference took place at Brandeis University on Saturday February 13. One of our amazing alumni, Jonathan McTague (MYL'12), opened the conference by delivering a captivating keynote that resonated with the 30+ alumni and family present. He empowered everyone to make the most of their lifetimes and to dive into their communities and give back, tying it all back to the MassSTAR message. He left everyone with the resonating message that you can do whatever you want to do as long as you have the will to do so, and the strength to do so. Gabriella Perez, a senior at Roger Williams University, led the students in an interactive communication workshop using Legos to teach a valuable lesson in teamwork and the importance of communication. In the community service brainstorming workshop, the students collaborated and came up with various areas in their community they wanted to address. Two students, Renee Semple ’15 and Lily Tang ’15, volunteered as head coordinators for a Jr. outreach program at a local Boston Boys and Girls Club later this spring. We look forward to keeping up with their progress and watching their hard work come to life!